Age is a compelling reason to consider buying replacement roofing in Greenwich, CT. There might be no obvious leaks, but issues might appear when extreme weather or season kicks in. 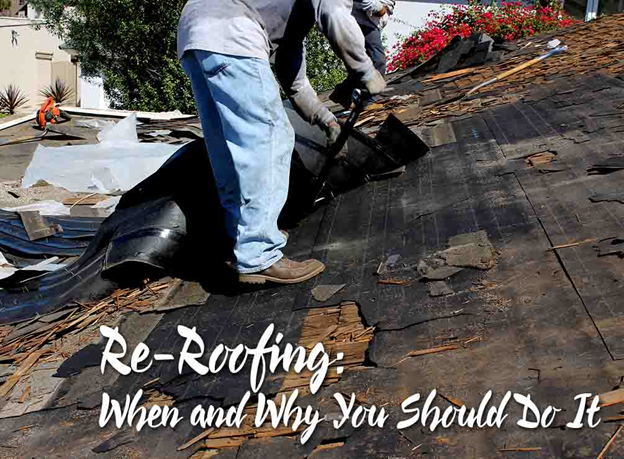 If you roof is 20 years or older, it’s reasonable to get it replaced, with or without visible causes for concern. At this point, it may no longer be as structurally sound as it used to be. In turn, it might give you a huge headache after a single rough weather. It could be weak enough to prevent rain and snowmelt from entering your home, causing water damage. Replacing your old roof with newer and better materials can ensure years of protection from the elements. Modern materials have advanced technologies that allow them to withstand any weather condition better and last longer than older roofing systems. Red flags also suggest that your roof is in terrible shape. Shingle problems, including cracking, buckling, or curling, are alarming signs of wear. Worse, your shingles may have already fallen to the ground, leaving your deck defenseless against the elements. Mold and mildew growths in the attic and ice damming are ventilation-related issues. They happen because of your roof cannot breathe out the excess heat. Moisture then builds up, damaging different components of your home. Once you see any signs of roof damage, consult expert roofing contractors in CT like Vinylume right away. We will conduct a 10-point inspection process that covers different areas of your home. This way, we can suggest sound solutions for your roofing problems. The biggest benefit of your upgrading your roof is solving all of its issues, both obvious and hidden. Thanks to advanced science, a complete GAF roofing system can protect your home without compromise for the years to come. All of GAF’s shingles have passed the tests in long-term durability, extreme temperature resilience, and wind-driven rain resistance. A new roof comes with a proper attic ventilation system, helping your cut down your energy costs. It would also enhance your home’s curb appeal. Considering the massive space it occupies, a stylish new roof would spruce up your exterior. As a result, your home can have increased property value. Schedule an inspection for your roofing in Danbury, CT, today and learn more about the best GAF replacement options. You can call us at (866) 244-8029 to set your free in-home consultation.